Florence "Flossie" Mabel Kling Harding, previously DeWolfe (August 15, 1860 – November 21, 1924), wife of President Warren G. Harding, was the First Lady of the United States from 1921 to 1923. Her birthplace is Marion, Ohio. Her birth name was Florence (Flossie) Mabel Kling. Her father’s name was Amos Kling. He was a rich and successful businessman. She was of German descent and French Huguenot ancestry. She did a course in music. When she was 19 years old, she ran away from her home along with her childhood friend named Henry De Wolfe. No document is available to prove their legal marriage. But, the “common law” of Ohio covered such marriages. De Wolfe turned out to be a heavy drinker and he spent a lot of money. Florence bore a son to him. The son’s name was Marshall Eugene De Wolfe, also known as Marshall Eugene Kling. Soon after the birth of her son, she divorced De Wolfe in 1886. She returned to Marion, and started living there. She also started using her maiden name, that is, the name before her marriage. De Wolfe died when he was 35 years old. She started to give piano lessons and started earning. However, her father did not like her daughter working and earning in this way. It was difficult for her to watch her son, and to give piano lessons. So she agreed to a proposal of his father. He gave her son to her parents to raise him. But, she continued to give piano lessons. Charity (Chat) Harding was one of her students. She was the eldest sister of Warren G. Harding. Harding was the young publisher of the town’s only newspaper named Marion Daily Star. Now, this paper’s name is the Marion Star. Florence became closer to Warren G. Harding. The two married in 1891. The couple did not get any children of their own. But, Florence’s son Marshall Eugene De Wolfe sometimes lived with them. Florence started to help her husband and his newspaper. Once she told: "I have only one real hobby - my husband." The newspaper’s circulation grew. Harding was also rising in politics of Ohio. He became a senator of the United States. In 1920, he won the US presidential elections. When the Harding couple moved into the White House, she opened the grounds to the public. Earlier, due to the illness of President Woodrow Wilson the grounds and the mansion had been closed. In 1920, she suffered kidney problems. But, still she continued as an active First lady. In the summer of 1923, the Harding couple started on their nationwide "Voyage of Understanding". During this journey, the President died in San Francisco, California in August 1923. After the death of her husband, she tried to make a new life for her. She wanted to live in Washington for some time. However, her kidney problems increased. She returned to Marion for treatment and recovery. The treatment continued for months but could not save her life. She died on 21st November 1924. She lies buried along side her husband in the Harding Memorial in Marion, Ohio. Many historians think this be the most beautiful of Presidential Tombs in the United States. 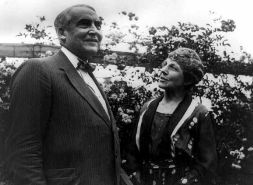 Warren and Florence Harding in their garden. 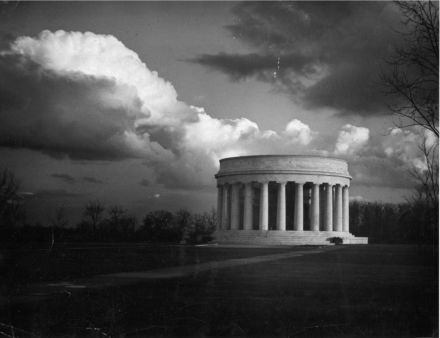 The Harding Tomb in Marion, resting place of both Warren and Florence Harding. The white marble structure was the last of the elaborate presidential memorials. Florence Harding Facts for Kids. Kiddle Encyclopedia.